The number of children identified with autism in the United States has more than doubled over the last decade. This progressively rising prevalence trend, together with the clear benefits of early intervention, has created a sense of urgency among educators and parents to ensure that students on the autism spectrum are provided with the appropriate programs and services. This article focuses on special education eligibility and educational planning for children who may have an autism spectrum disorder (ASD). It includes guidelines to help parents and school professionals understand the requirements for providing legally and educationally appropriate programs and services to students who meet special education eligibility for autism. The Individuals with Disabilities Education Improvement Act of 2004 (IDEA) and the Diagnostic and Statistical Manual of Mental Disorders, Fifth Edition (DSM-5) are the two major systems used to diagnose and classify children with ASD. The DSM-5 is considered the primary authority in the fields of psychiatric and psychological (clinical) diagnoses, while IDEA is the authority with regard to eligibility decisions for special education. The DSM was developed by clinicians as a diagnostic and classification system for both childhood and adult psychiatric disorders. The IDEA is not a diagnostic system per se, but rather federal legislation designed to ensure a free, appropriate education (FAPE) for all children with special educational needs in our public schools. Unlike the DSM-5, IDEA specifies categories of ‘‘disabilities’’ to determine eligibility for special educational services. The definitions of these categories (there are 13), including autism, are the most widely used classification system in our schools. Autism now ranks fourth among all IDEA special education categories and accounts for approximately 1% of the overall student population in our schools. While the DSM-5 diagnostic criteria for ASD are professionally helpful, they are neither legally required nor sufficient for determining educational placement. A medical diagnosis from a doctor or mental health professional alone is not enough to qualify a child for special education services. It is state and federal education codes and regulations (not DSM-5) that drive classification and eligibility decisions. In fact, the National Research Council (2001) recommends that all children identified with ASD, regardless of severity, be considered for special education eligibility under the IDEA category of autism. Therefore, it’s especially important for administrators, parents, advocates, teachers and non-school professionals to keep in mind that when it comes to special education, it is state and federal education codes and regulations (not DSM-5 criteria) that determine eligibility and IEP planning decisions. School professionals must ensure that children meet the criteria for autism as outlined by IDEA or state education agency (SEA) and may use the DSM-5 to the extent that the diagnostic criteria include the same core behaviors. All professionals, whether clinical or school, should have the appropriate training and background related to the diagnosis and treatment of neurodevelopmental disorders. The identification of autism should be made by a professional team using multiple sources of information, including, but not limited to an interdisciplinary assessment of social behavior, language and communication, adaptive behavior, motor skills, sensory issues, and cognitive functioning to help with intervention planning and determining eligibility for special educational services. Research indicates that the proportion of published court decisions attributable to the autism classification under IDEA has risen rapidly. For example, children with autism were found to account for nearly one third of a comprehensive sample of published court decisions concerning the core concepts of free appropriate public education (FAPE) and least restrictive environment (LRE) under IDEA. Overall, the FAPE/LRE court cases were over 10 times more likely to concern a child with autism than the proportion of these children in the special education population. The disproportionate growth of autism litigation is likely due in part to school systems’ challenges in effectively addressing this complex disability and providing effective programs for individual children with autism. As more children are identified with autism, school districts are facing significant budgetary constraints and shortages of qualified personnel while parents are requesting additional and more expensive services. FAPE also invites autism litigation due to the uncertainty of the complexity and the diversity of the condition. 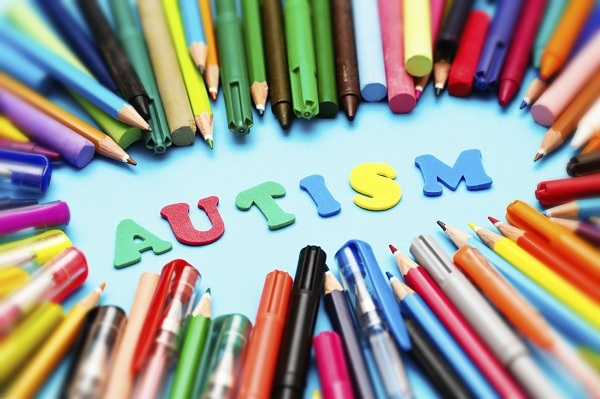 Likewise, confusion between the legal (educational) classification of autism and the clinical definition of ASD has contributed to eligibility and placement controversies. Given the disparity between parent concerns and school practices, together with high costs, treatment/intervention controversies, and the complexity of ASD, it is understandable why parents of children with autism tend to be more prone to litigation than the parents of children with other disabilities (Zirkel, 2014). In order to address these legal issues, state and local policymakers must become more knowledgeable and sensitive about the legal and appropriate educational supports critical to children with autism and their families. Legal and special education experts recommend the following guidelines for providing legally and educationally appropriate programs and services to students who meet special education eligibility for autism. 3. School districts should develop IEPs based on the child’s unique pattern of strengths and weaknesses. Goals for a child with ASD commonly include the areas of communication, social behavior, adaptive skills, challenging behavior, and academic and functional skills. The IEP must address appropriate instructional and curricular accommodations and modifications, together with related services such as counseling, occupational therapy, speech/language therapy, physical therapy and transportation needs. Evidence-based instructional strategies should also be adopted to ensure that the IEP is implemented appropriately. Kabot, S., & Reeve, C. (2014). Curriculum and program structure. In L. A. Wilkinson (Ed. ), Autism spectrum disorder in children and adolescents: Evidence-based assessment and intervention in schools (pp. 195-218). Washington, DC: American Psychological Association. Wagner, S. (2014). Continuum of services and individualized education plan process. In L. A. Wilkinson (Ed.). Autism spectrum disorder in children and adolescents: Evidence-based assessment and intervention in schools (pp. 173-193). Washington, DC: American Psychological Association. Wilkinson, L. A. (2017). Best practice in special education. In L. A. Wilkinson, A best practice guide to assessment and intervention for autism spectrum disorder in schools (pp. 157-200). London: Jessica Kingsley Publishers. Wilmshurst, L. & Brue, A. (2010). The complete guide to special education: Expert advice on evaluations, IEPs, and helping kids succeed (2nd edition). San Francisco, CA: Jossey-Bass. Zirkel, P. A. (2014). Legal issues under IDEA. In L. A. Wilkinson (Ed.). Autism spectrum disorder in children and adolescents: Evidence-based assessment and intervention in schools (pp 243-257).Washington, DC: American Psychological Association. Lee A. Wilkinson, PhD, NCSP, is a licensed and nationally certified school psychologist, registered psychologist, and certified cognitive-behavioral therapist. He is also a university educator and trainer, and has published widely on the topic of autism both in the US and internationally. Dr. Wilkinson is author of the award-winning books, A Best Practice Guide to Assessment and Intervention for Autism and Asperger Syndrome in Schools and Overcoming Anxiety and Depression on the Autism Spectrum: A Self-Help Guide Using CBT, both published by Jessica Kingsley Publishers. He is also editor of a best-selling text in the American Psychological Association (APA) School Psychology Book Series, Autism Spectrum Disorder in Children and Adolescents: Evidence-Based Assessment and Intervention. His latest book is A Best Practice Guide to Assessment and Intervention for Autism Spectrum Disorder in Schools (2nd Edition).